There are a wide range of opportunities and support resources available for education purposes, for land managers and for people who are interested in improving their skills. There are a range of resources available to support your studies, field trip or visit to the Cairngorms National Park. Click here for the full range of education resources, the Cairngorms Learning Zone and to access the Outdoor Learning Travel Grant. There are a range of training opportunities taking place in the Park, specifically aimed at land based businesses, teachers and young people. Click here for further details to see if there is a course available that would help you develop your skills further. 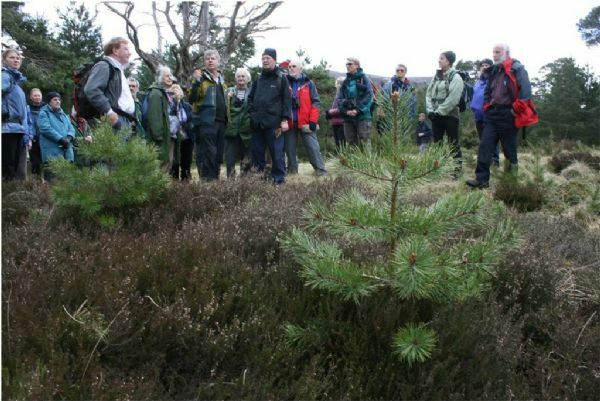 The Land Management Training Project delivers bespoke training events and short rural skills courses for land based businesses within, or partly within, the Cairngorms National Park. During 2015, CNPA will be continuing to support training in key practical rural skills by reimbursing 30% of the cost of short courses in topics such as off road vehicle driving, chainsaw operation, deer stalking, habitat monitoring, pesticide use and first aid. We will also be running a series of free courses and events open to everyone on a range of subjects of broad interest to land managers. Keep an eye on this page for updates on what’s happening throughout the year, or email pennylawson@cairngorms.co.uk to be added to our email circulation list.